Your car interior, depending on its trim level, is actually made up of a surprising amount of different materials, trims and surfaces, all of which require differing levels of protection and care. Thankfully, many all in one car interior cleaners exist to clean and condition your vehicle's interior in seconds. Why is Car Interior Cleaner Important? When it comes to making sure your vehicle is as clean and presentable as it can be, interior care is just as important as cleaning the outside. Interior trim can be made from different fabrics, plastics and vinyl material, all of which are susceptible to the effects of stains, smells, dust, dirt and UV radiation in different ways. As such, cleaning your interior with the right products is vital for making sure you're getting the most life out of your car interior. Simple spray-on, wipe-off interior shampoos and cleaners are designed to care and condition every type of trim you're likely to find inside your vehicle's cabin. 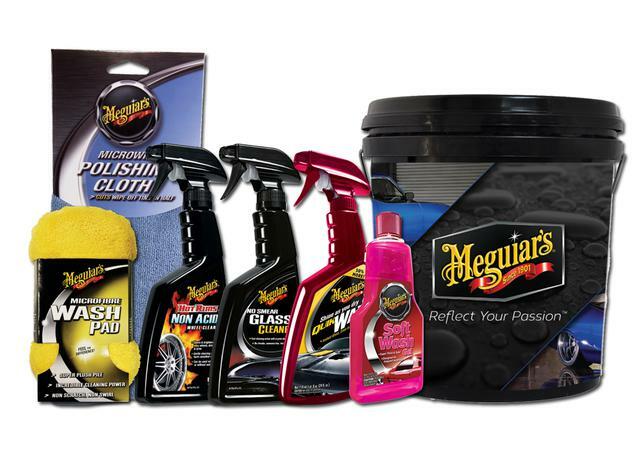 These products have the ability to deeply clean and condition cloth seats and carpets, as well as the vinyl, plastic and rubbers that make up your steering wheel, dashboard and door trim. All the while leaving a fresh scent in it's wake. Stash a bottle of one of these in your glove compartment and make your life easy. 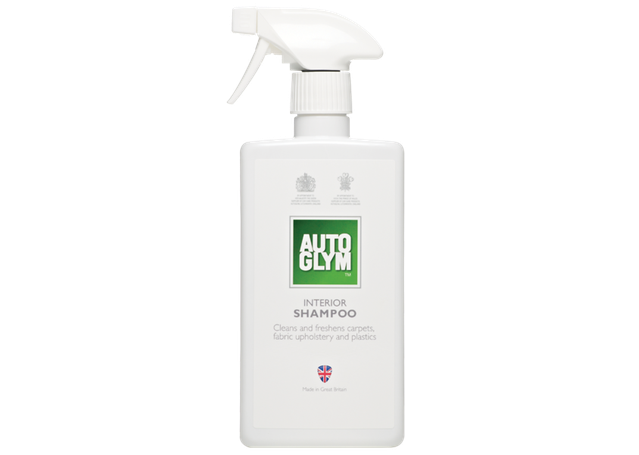 This extends far beyond just vaccuming, and our range of car interior cleaning kits from Autoglym, Meguiars and Mothers is specifically formulated to keep your upholstery, dashboard, steering wheel, trim, carpets and interior glass as clean and fresh as possible. More passionate car detailers or owners of vehicles that may have had their interiors neglected may need more detailed products to get their interiors looking and feeling new again. For this reason, Car Interior Protector is also available to bring your interior plastics back to the deep, rich black at which they look their best. Car upholstery cleaners are also available, containing rich fabric softeners and cleaners to keep your seats clean, comfortable and smelling great. For even more simple cleaning, it's also great to keep a pack of Interior Detailer Wipes in your car for every day wipe ups and easy refreshing of your car's interior trim.